Discover an ERP that tackles your high tech manufacturing needs. 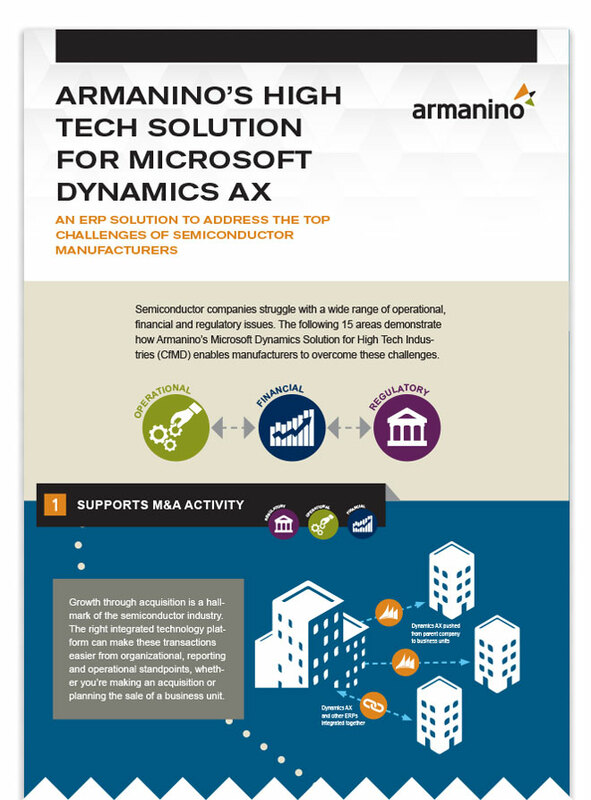 Whether you're a semiconductor or fabless semiconductor manufacturer, Armanino's High Tech Solution for Microsoft Dynamics AX will enable you to take control of your supply chain and address the top operational, financial and regulatory challenges you face on a day-to-day basis. From M&A activity to yield planning — see how your next ERP will meet 15 of the industry's top challenges. Fill out the form below to see how this High Tech solution addresses 15 key industry challenges.